Hi babes! I’m Katey McFarlan with the style blog Chronicles of Frivolity. 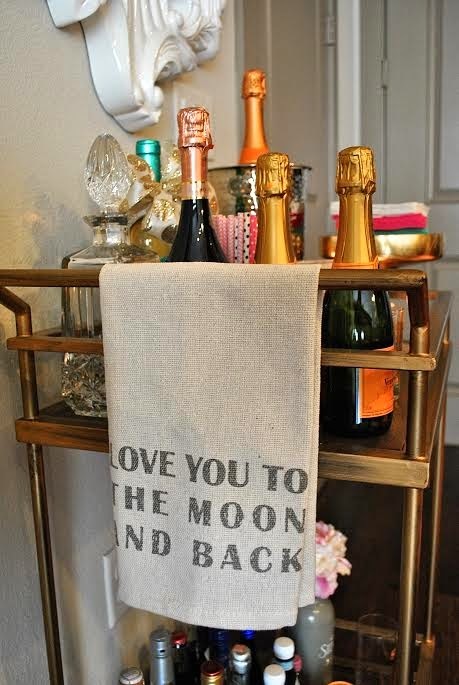 Morgan is one of my sweet blog friends and after sharing a bit of my home décor on my blog, she asked me to share my bar cart with you all! 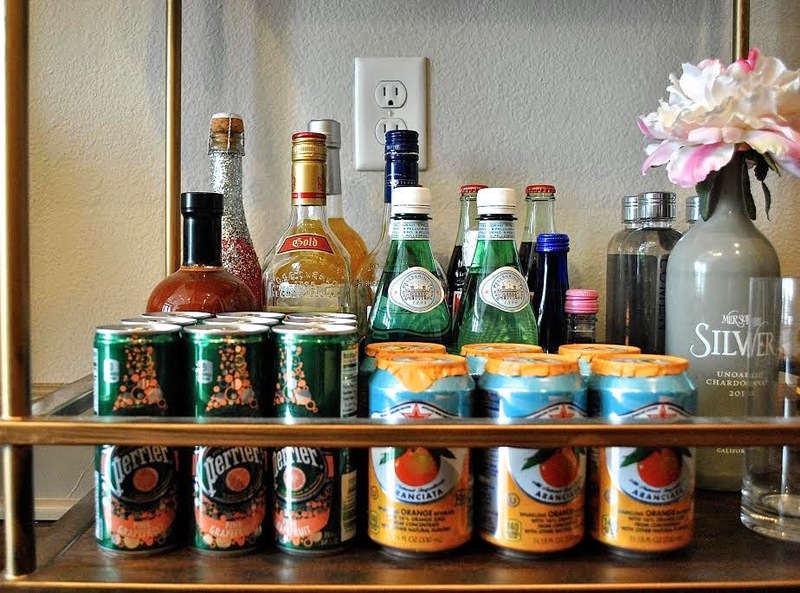 So yes, I keep a fully stocked bar by my door so I’m not rude. It’s just an easy reminder and all my friends know it is there for them and they can ask for whatever they want! 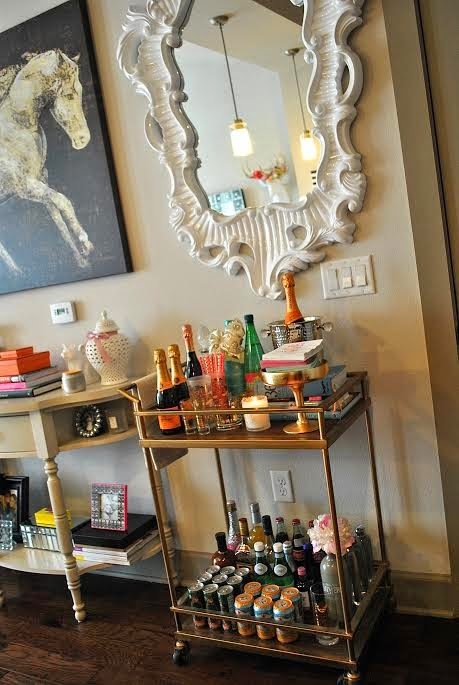 In keeping a bar cart stocked, keep that in mind! I’ve got girls that want tequila, straight, to rant about their boss. And I’ve got girls that won’t even touch wine because they only drink Dr. Pepper. Central Market or any boutique grocery store is a godsend because you can get everything from cute pink beer bottles to nice water bottles. I keep that on the bottom! 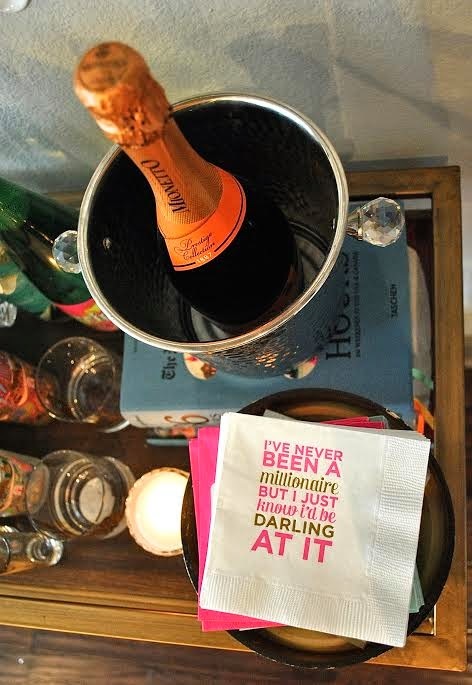 Don’t clutter it with wine glasses. On the top I try to keep nice champagne (for breakups) and celebrations along with candles, cute cocktail napkins on cake stands and colorful straws! 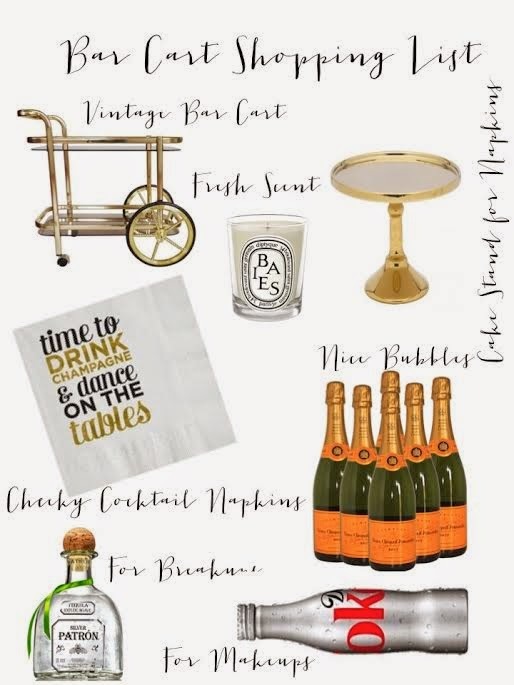 I’ve created a shopping cheat sheet for you to stock your bar cart! Also, where you do find one that isn’t $400? Check out Target or antique/estate sales! Ikea has great ones you can spray paint the handles gold, too. If you have any home décor questions e-mail me at kateymcfarlan@gmail.com.